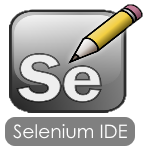 As you can read in Brief History of The Selenium Project, Selenium RC was the main Selenium project for a long time, before the WebDriver/Selenium merge brought up Selenium 2, the newest and more powerful tool. WebDriver is a tool for automating web application testing. Selenium-WebDriver was developed to better support dynamic web pages where elements of a page may change without the page itself being reloaded. WebDriver’s goal is to supply a well-designed object-oriented API that provides improved support for modern advanced web-app testing problems. The primary new feature in Selenium 2.0 is the integration of the WebDriver API. Selenium-WebDriver makes direct calls to the browser using each browser’s native support for automation. How these direct calls are made, and the features they support depends on the browser you are using. It drives the browser directly using the browser’s built in support for automation. Selenium 3.0 is available now. WebDriver APIs this is a drop-in replacement. You’ll find that modern browsers, such as Chrome and Edge will continue to work just as before, and we’ve taken the opportunity to fix some bugs and improve stability. Selenium Grid users may require updates to their configuration as the json config file format has been updated, as have some of command line parameter options, but the upgrade should also be smooth. The major change in Selenium 3.0 is we’re removing the original Selenium Core implementation and replacing it with one backed by WebDriver. This will affect all users of the Selenium RC APIs. For more information, please see the previous post. Brain fried from PyCon Canada 2013 and 'some' browser tab is misbehaving which means its time to start closing some of these.